Salone del Mobile has swept Milan off its feet and has, unfortunately, come to an end. However, at the turn of the week, we decided to prepare a fabulous recap, to let you know why it was, definitely, the greatest trade show of the year. 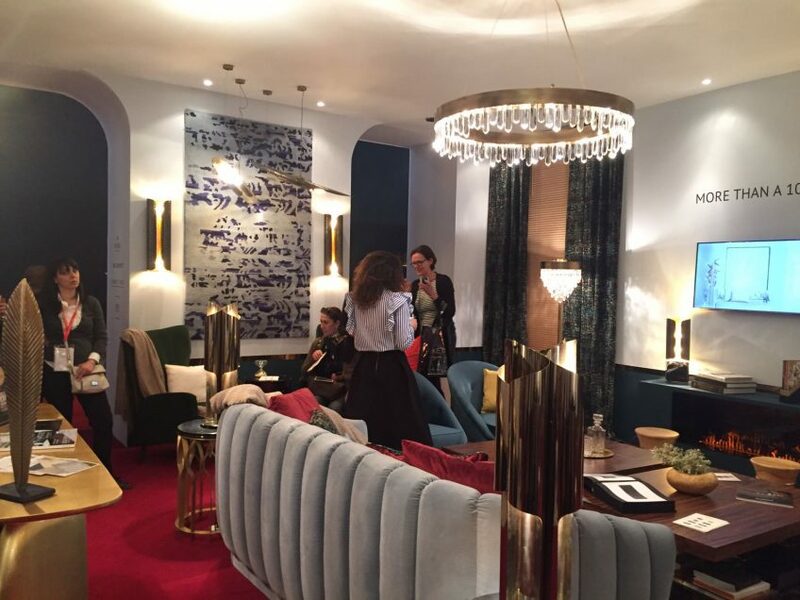 Find out which great interior design companies showcased their best or brand new pieces, as well as other highlights and unforgettable moments. iSaloni 2017, the epicenter of design, luxury, interior decor, furniture and lighting for this month, has at last ended. Nevertheless, the 2017 trade show will most certainly remain in the memory of those who had the chance to experience Milan at its best. As you might already know, DelightFULL was the place where we spent some of our favorite moments. The stand stood out, as always, for its mid-century vibe and sense of fun. This year, the Portuguese lighting company also showcased a number of new creations. Amongst them were the BASIE table lamp, the CANNONBALL suspension and the EVANS wall lamp. COVET HOUSE was one of the most luxurious and welcoming stands at Salone del Mobile 2017. Offering the experience of interior design to their clients, Covet showcased a number of designer pieces created by the current top brands, along with their bold choices of materials, tools and finishes, portraying the sophistication and expertise in interior decor that earned them world-wide recognition. BOCA DO LOBO was the spotlight of luxury and exclusiveness, with its sumptuous pieces, debonair to the most, enchanting every passer-by. KOKET was also there, showcasing what they do best: luxury and sumptuousness. From exquisite furniture pieces to their top notch fabrics, it was all there! Of course, BRABBU could not have missed iSaloni. Their stand brought fierceness, strength, and power into an urban lifestyle, as well as pieces that reflected an intense way of living by telling stories about nature and the world. And, last but not least, CIRCU. It is pure eye-candy. How uncanny is it to have a luxurious interior design company that creates magical ambiances for children? Their stand will most certainly mesmerize you, as always, due to their dreamy touch and puerile atmosphere. Their flying beds and rocket armchairs are irresistible!